Here are 10 changes in the healthcare landscape every ambulatory surgery center administrator needs to know for strategic planning in the future. 1. Medicare wants to increase ASC reimbursement next year. The Centers for Medicare and Medicaid Services have proposed a 0.9 percent increase to ASC reimbursement for 2014. The increase could boost overall Medicare payments to certified ASCs by $133 million, or 3.5 percent, when compared with 2013. Total Medicare payments to ASCs in 2014 are projected at $3.98 billion. 2. Challenges to CON rules are coming. Georgia is the most recent state to have a serious call for amending the certificate of need rules making it easier for physicians to develop and bring cases to ambulatory surgery centers. A group of physicians recently rallied to loosen the state's strict program and the issue is expected to be a high priority for the 2014 Atlanta legislative agenda. Earlier this year, South Carolina suspended its CON process due to budgetary concerns. Several notable state legislators and ASC industry leaders were vocal in support of the change throughout the first part of this year. In the past, when states loosened CON regulations the markets see a windfall of new surgery centers before reaching saturation. 3. CMS quality reporting program for ASCs delayed. The Ambulatory Surgical Center Quality Reporting Program, which was scheduled to begin July 1, was delayed. However, ASCs do have access to The Ambulatory Surgical Center Quality Reporting Program Specifications Manual version 3.0 on QualityNet. The manual outlines the program, which will go into effect Jan. 1, 2014. 4. Employer coverage mandate from ACA delayed. The Patient Protection and Affordable Care Act's provision requiring businesses and companies with 50 or more employees to offer health insurance to employees or pay a penalty has been delayed until 2015. The rule was originally slated to begin January 2014. In the interim, lawmakers are looking for ways to simplify new reporting requirements and test the mandate before implementation. 5. 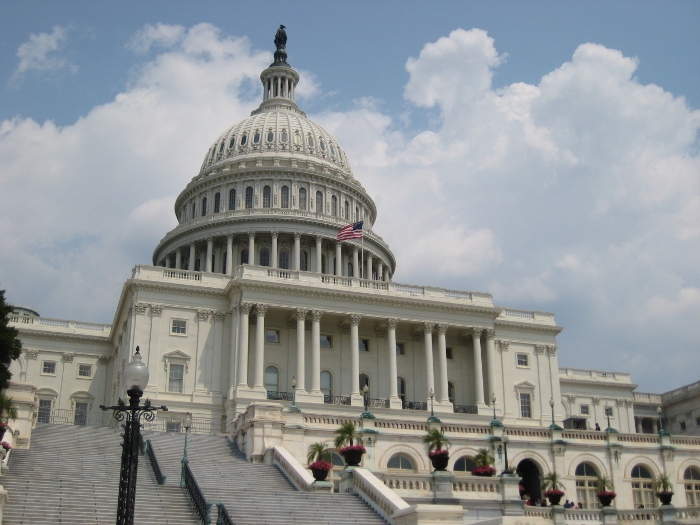 Pro-ASC legislation making its way through Congress. Legislation has been introduced in the United States Senate and House of Representatives that would transition reimbursement for ASCs to the hospital market basket update from the Consumer Price Index for All Urban Consumers. Additional provisions would create value-based purchasing for ASCs, include an ASC voice on the Advisory Panel on Hospital Outpatient Payment and require CMS to disclose criteria used to deny procedures from being performed in ASCs. 6. Reimbursements could take a hit during the ICD-10 transition. All healthcare providers are required to make the ICD-10 transition, but those who aren't prepared could see their bottom lines suffer according to a new MediGain report. Holly Louie, chair of the Healthcare Billing and Management Association's ICD-10/5010 committee, testified before Congress that the economic stability of the country's healthcare reimbursement system is hinging upon this successful switch. Analyze how ICD-10 will impact your facility and identify areas of the revenue cycle that are at risk for complications. If you have an electronic medical record, make sure your vendor is ready for the switch as well. Physicians should undergo some training on what the changes entail to document correctly. • Revise business associate agreements. 8. Propofol drug shortage has been resolved. The U.S. Food and Drug Administration officially removed propofol from its list of drugs with a supply shortage. However, this commonly used ambulatory anesthetic may take time to move through the supply chain to healthcare facilities. ASC leaders should still expect some delays in receiving the drug and plan accordingly. 9. CMS updated interpretive guidelines on advanced directives for surgery centers. The Centers for Medicare & Medicaid Services updated interpretive guidelines to CMS State survey agencies and regional offices, including updates for ambulatory surgery centers in advance directives. The updated guideline interpretation states, "A blanket statement of refusal by the ASC to comply with any patient advance directive is not permissible. However, if and to the extent permitted under state law, the ASC may decline to implement elements of an advanced directive on the basis of conscience or any other reason permitted under state law if it includes the information concerning its advance directive policies a clear and precise statement of limitation." 10. New codes for ASC procedures are coming. The Centers for Medicare and Medicaid proposed to offer permanent reimbursement for VisionCare implantable miniature telescope. The FDA-approved device is designed to improve the vision of late stage age-related macular degeneration. CMS intends to assign the device the new Ambulatory Payment Classification 0351, Level VII Anterior Segment Eye Procedures, which would be effective Jan. 1, 2014 if approved. Additionally, a new CPT code for sacroiliac joint arthrodesis performed with minimally invasive or percutaneous approaches went into effect July 1.